The vision of the First Base Foundation is to make Summer Travel Baseball more affordable by providing scholarships to student athletes who otherwise could not afford to play on the California Warriors teams. The rising cost of travel baseball has created a huge disparity in opportunity. Baseball is the 5th most expensive sport, with fees rising annually for tournaments, equipment, and travel. The First Base Foundation recognizes this inequality in access, and through the Scholarship Fund, strives to level the playing field. Playing for the California Warriors results in more opportunities for student athletes to be seen by college coaches, gain exposure to high-quality coaching and competition, evaluate and improve their baseball skills, and experience a cross-cultural, multi-ethnic baseball program. 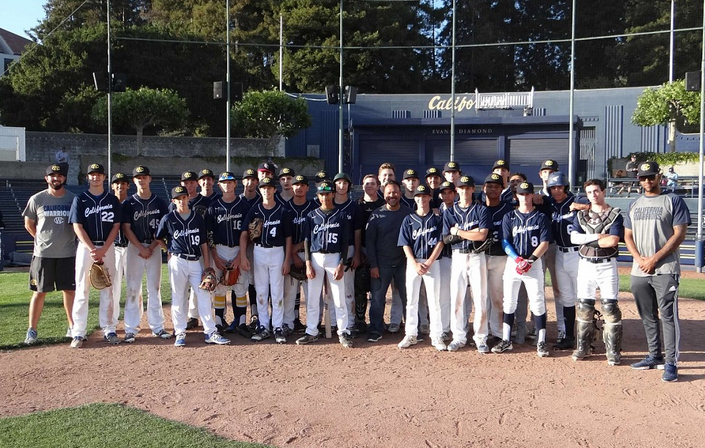 Since 2003, The First Base Foundation has awarded over $450,000 in scholarships to California Warriors players. 100% of California Warriors student athletes graduate high school and attend college and/or have gone on to play in MiLB. In addition, 19 California Warriors Alumni are playing D-I, 6 are playing D-II, 14 are playing D-III, 16 are at JC’s, 2 are at NAIA schools, and 26 California Warriors Alumni have played or are currently playing Minor League Baseball.